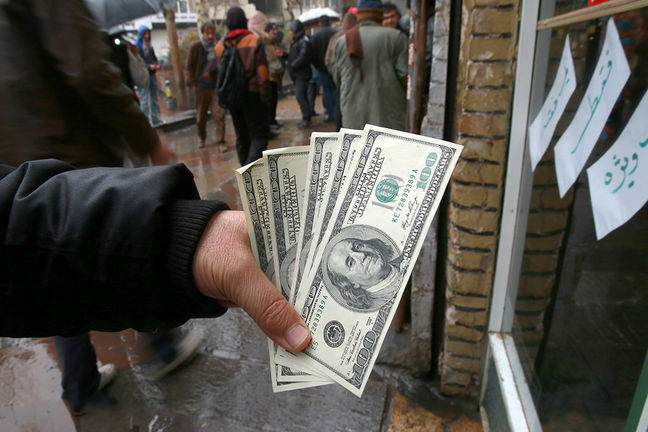 EghtesadOnline: Three key lawmakers have asked President Hassan Rouhani to significantly limit the multi-tier foreign exchange system based on which a big portion of imported goods receive their hard currency at the preferential rate of 42,000 rials to the US dollar. In a letter sent to the president on Saturday, Chairman of Majlis Economic Commission Mohammad Reza Pour-Ebrahimi, Chairman of Budget and Planning Commission Gholamreza Tajgardoon and Head of the Monetary and Banking Committee Mohammad Hossein Hosseinzadeh Bahraini have demanded that the government expand the list of goods whose currency can be traded at negotiated rates by including petrochemicals, steel products and metallic minerals. The long-expected plan to launch a secondary forex market became finally operational this week on Tehran Stock Exchange where exporters of some non-oil goods can offer their currency to importers of equally non-essential goods at negotiated rates. The acceptance of the forex trade at open market rates by the government finally came after the government saw itself unable to meet a tsunami of demand for imports at the subsidized rate which became all the more alluring when the currency market rally intensified in recent weeks, Financial Tribune reported. The move was welcomed by markets long suffocated by forex restrictions with the rial gaining some ground against the dollar and the gold coin rally losing its momentum. In the wake of the market's launch, Central Bank of Iran Governor Valiollah Seif said forex trade at negotiated rates would only involve export earnings from 20% of non-oil exports, excluding petrochemical forex earnings or currency generated by steel and mineral exports. He added that in the first step, the secondary market would be used for the import of goods and services only but later on it will also be tapped for other purposes. The three lawmakers point to the fact that the government's intended market is one with "little scope and depth" since it excludes export earnings of petrochemicals and metallic minerals such as steel and copper. "This decision in practice means the insistence on the wrong decision made by the government on April 9 [to unify the exchange rate], the consequences of which are now evident to all," the missive reads as reported by ICANA, the parliament's official news website. The government decided to unify the US dollar's exchange rate at 42,000 rials on April 9 in response to wild fluctuations that saw the rial sink to all-time lows against the greenback. Later it categorized goods into three major groups, with cheap currency only going to the import of goods that it deemed vital or essential. In the third category, exporters that do not have to register their currency earnings in the online Integrated Forex Deals System (known as Nima) can sell their hard currency to importers of "non-essential" consumer goods at "negotiated" rates. The government has rolled out a list of over 1,300 products which it deemed unnecessary and luxurious, and banned their imports. Prohibited imports include cars, home appliances, apparels, footwear and leather products, as well some machinery that can be manufactured inside the country. The lawmakers note in their letter that the government's new policy will be effective only if it has enough reach. "The fact that you have decided to distribute more than $42 billion of forex resources which belong to the relatively stable state and semi-state entities at a fixed rate and only refer about $10 billion of uncertain currency earnings from the export of traditional products such as carpet and pistachio is definitely an improper decision." The lawmakers mention that the biggest reason for the government's policy is its inability to monitor the distribution chain of goods that have been imported through "preferential currency" or products whose raw materials have benefited from cheap forex. Referring to recent results of such a policy, lawmakers warn that the status quo will only lead to further opportunities for rent-seeking behavior. The unified rate has been criticized by private sector leaders and independent analysts for creating a fertile ground for rent seeking whereby a select few get access to cheap currency. At the behest of President Rouhani himself and public pressure, the CBI last week published the list of car importers which had received cheap currency. The list followed an earlier disclosure that involved the names of smaller importers who had benefited from cheap currency but not always honored their commitment to offer their goods at the same price to consumers. Tehran Police Chief Brigadier General Hossein Rahimi also announced last week that certain mobile device importers which had enjoyed access to cheap dollars had at least sold 300,000 handsets to customers at free market rates. Intro: In a letter sent to the president on Saturday, the three lawmakers have demanded that the government expand the list of goods whose currency can be traded at negotiated rates by including petrochemicals, steel products and metallic minerals.